Security Operations Center (SOC) experts at Secur stand between you and security threats that can damage your business. 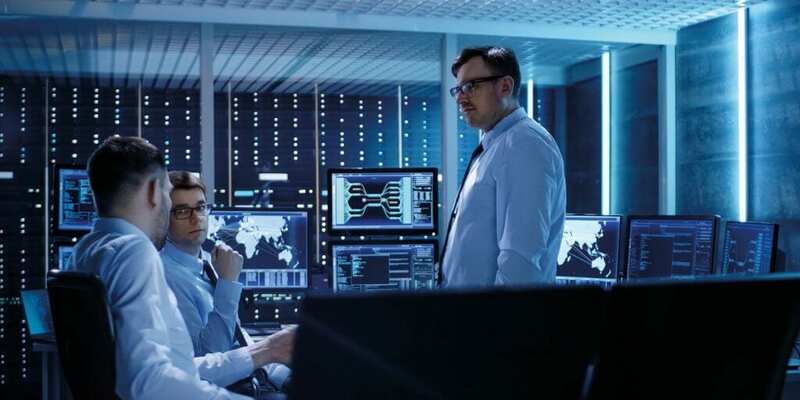 Whether that means constantly evolving fraud-prevention services, shutting down malicious sites, or layering protections with Silverline application services, the SOC is at your service 24×7. Find out how the expertise and services offer ed via the Secur SOC can deflect the ever-growing number of security threats leveled at your business. If your business has a web presence, you’re a target for malicious forces. In this threat filled world, it’s important to have strong expertise on your side. SOC experts defeat threats before they impact your business and tarnish your brand. Specialized Security Experts? They Work Here. SOC experts have an unrivalled breadth and depth of industry experience. They’re using industry-leading F5 products combined with state-of-the-art security tools to ensure the best protection possible for your applications. They hold more than eighteen security certifications, including: CISSP, CEH, CSFA, CDRE, Security+, CCNA Security, F5 Certified, GIAC and more. More often, a SOC expert will call you. That’s because Secur experts constantly monitor your website traffic, so they can get in front of any suspicious activity or attack. They’ll work with third parties, including governments, to take down malicious sites that are trying to do you harm.